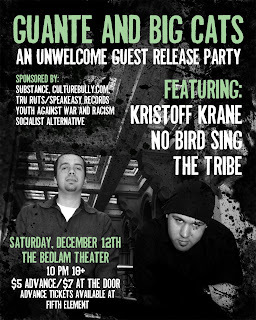 Guante: more release party news! Here's the new flyer, with supporting acts and sponsors. We're all really excited about this lineup. Me and Big Cats! will be playing with our band, plus a few more special guests. Also, here's the Facebook event page, if you do that sort of thing.